Every iPhone device has a unique IMEI number (Manufacturer identification number) used to identify the device and control it remotely by the manufacturer and service provider. By providing us with your device’s IMEI number (Dial *#06#), we can open an immediate request to unlock and SIM free your iPhone by Apple. Once confirmed, your will be notified by email to connect your iPhone to iTunes using a USB cable. iTunes will automatically detect that your iPhone has been requested to be unlock and therefore perform the complete unlock iPhone 5C process for you. Once completed, your iPhone will be immediately ready to use any GSM SIM card you will insert, allowing you to use your iPhone with different mobile networks around the globe. An unlocked iPhone device will not only allow you to use any GSM SIM card, but will also allow you to switch mobile networks without purchasing a new phone, avoid signing annual contracts, save on roaming charges while traveling, and increase the resell value of your iPhone by opening to a larger market.Most importantly, our service will not void your Apple Repairs and Service Coverage or Apple Care service. We provide a large amount of complete step-by-step video tutorials to help simplify the unlock iPhone 5C process. We are also available to help and guide you through anytime 24 hours a day. You may contact us using our chat, phone and quick email support. 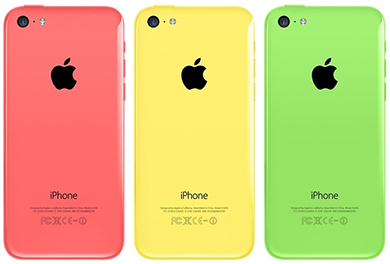 We will unlock your iPhone 5C device guaranteed and help you throughout the complete process or your money back.